Background: Chronic subdural hematoma is a benign disease but its behavior is more than a malignant space occupying lesion intra-cranially and it kills patient, if diagnosis delayed. Chronic subdural hematoma is frequently associated with underlying co-morbidities like diabetes mellitus, hypertension, ischemic heart diseases and atrial fibrillation in elderly patient. Early recognition of chronic subdural hematoma is important for early management. Objective: To identify the factors for causing chronic sub-dural haematoma following minor head injury. Materials and Methods: This observational descriptive study was conducted in the Department of Neurosurgery “A” Unit, Lady Reading Hospital Peshawar from 1st January 2016 to 31st July 2018. All patients with history of minor head injury resulting in unilateral or bilateral chronic subdural hematoma diagnosed clinically and radiologically by CT scan/MRI brain, Age greater than 60 years & operated for chronic subdural hematoma were included in this study. Exclusion criteria was all chronic subdural hematoma patients with age less than 60 years and previous operated. Medical records of patients were revised and searched for associated risk factors. A proforma was designed for collection of data. The data was analyzed through SPSS Version17. Results: Total number of patients were (46) with male to female ratio (3:1). Clinical presentations were decreased level of consciousness in 11 patients (23.9%), Headache in 10 patients (21.7%), Memory loss in 5 (10.8%), Personality changes in 10 patients (21.7%), Motor deficits in 5 patients (10.8%), Aphasia in 5 patients (10.8). The risk factors found were Diabetes Mellitus 8 cases (17%), Hypertension 16 cases (35%), Rheumatic heart disease 1 case (3%), Ischemic heart disease 15 cases (32%) and atrial fibrillation 6 cases (13%). Conclusion: The common risk factors for chronic subdural hematoma was ischemic heart disease, hypertension, diabetes mellitus and atrial fibrillation. Early management results in favorable prognosis in terms of morbidity and mortality. 1. Lee L, Ker J, Ng HY, Munusamy T, King NK, Kumar D, Ng WH. Outcomes of chronic subdural hematoma drainage in nonagenarians and centenarians: a multicenter study. J Neurosurg. 2016; 124: 546-51. 2. Kageyama H, Toyooka T, Tsuzuki N, Oka K. Nonsurgical treatment of chronic subdural hematoma with tranexamic acid. 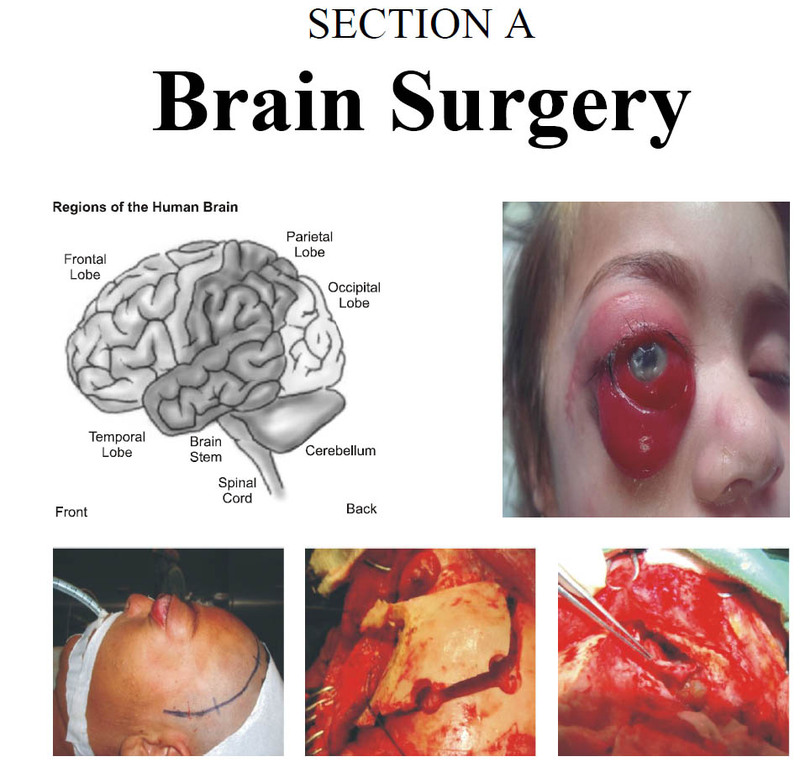 Journal of Neurosurgery, 2013; 119: 332–37. 3. Berghauser P, Dammers R, Schouten JW, et al. Clinical Factors Associated With Outcome in Chronic Subdural Hematoma: A Retrospective Cohort Study of Patients on Preoperative Corticosteroid Therapy. Neurosurgery, 2012; 70: 873–80. 4. De Araujo Silva DO, Matis GK, Costa LF, Kitamura MA, de Carvalho EV, Jr, de Moura Silva M, et al. Chronic subdural hematomas and the elderly: Surgical results from a series of 125 cases: Old “horses” are not to be shot! Surg Neurol Int. 2012; 3: 150. 5. Lau D, El-Sayed AM, Ziewacz JE, Jayachandran P, Huq FS, Zamora-Berridi GJ, et al. Postoperative outcomes following closed head injury and craniotomy for evacuation of hematoma in patients older than 80 years. J Neurosurg. 2012; 116: 234–45. 6. Neils DM, Singanallur PS, Wang H, Tracy P, Klopfenstein J, Dinh D, et al. Recurrence-free chronic subdural hematomas: A retrospective analysis of the instillation of tissue plaminogen activator in addition to twist drill or burr holee drainage in the treatment of chronic subdural hematomas. World Neurosurg. 2011; 78: 145–9. 7. Kalamatianos T, Stavrinou LC, Koutsarnakis C, et al. PlGF and sVEGFR-1 in chronic subdural hematoma: implications for hematoma development. J Neurosurg. 2013; 118: 353–7. 8. Hua C, Zhao G, Feng Y, et al. Role of matrix metalloproteinase-2, matrix metalloproteinase-9, and vascular endothelial growth factor in the development of chronic subdural hematoma. J Neurotrauma. 2016; 33: 65–70. 9. Osuka K, Watanabe Y, Usuda N, et al. Activation of Ras/MEK/ERK signaling in chronic subdural hematoma outer membranes. Brain Res. 2012; 1489: 98–103. 10. Aoyama M, Osuka K, Usuda N, et al. Expression of mitogen-ativated protein kinases in chronic subdural hematoma outer membranes. J Neurotrauma. 2015; 32: 1064–70. 11. Funai M, Osuka K, Usuda N, et al. Activation of PI3 kinase/Akt signaling in chronic subdural hematoma outer membranes. J Neurotrauma. 2011; 28: 1127–31. 12. Gong D, Hao M, Liu L, et al. Prognostic relevance of circulating endothelial progenitor cells for severe traumatic brain injury. Brain Inj. 2012; 26: 291–7. 13. Stanisic M, Lyngstadaas SP, Pripp AH, et al. Chemokines as markers of local inflammation and angiogenesis in patients with chronic subdural haematoma: a prospective study. Acta Neurochir. 2012; 154: 113–20. 14. Brough D, Rothwell NJ, Allan SM. Interleukin-1 as a pharmacological target in acute brain injury. Exp Physiol. 2015; 100: 1488–94.